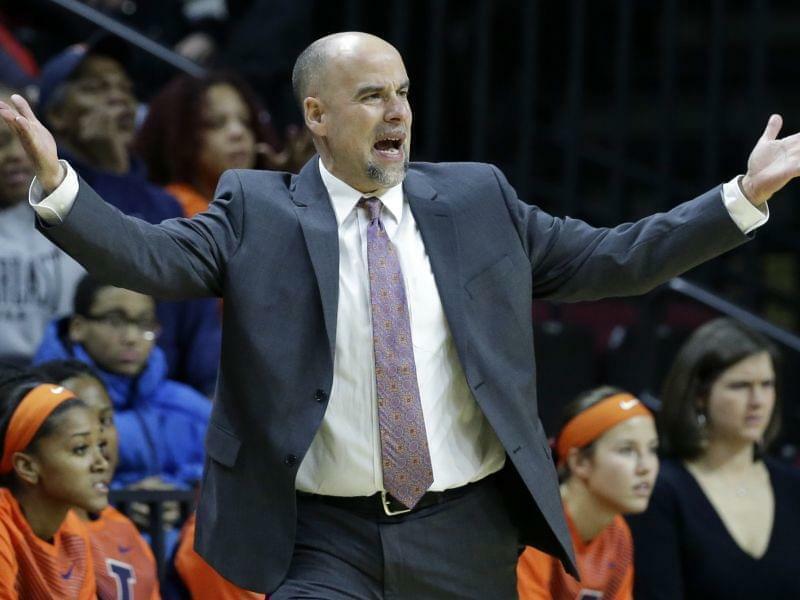 In this Feb. 17, 2015, file photo, Illinois head woman's basketball coach Matt Bollant reacts to a call during the first half of an NCAA college basketball game in Piscataway, N.J.
An investigation commissioned by the University of Illinois into allegations of racism and abusive behavior in the Urbana campus women’s basketball program finds that the “allegations are not supported by the information available”, according to Chancellor Phyllis Wise. You can read the report here. Wise sent out the report Monday morning, in a campus-wide mass email. Wise says investigators with the firm of Pugh, Jones & Johnson conducted 33 interviews, examined statements of eight former players and thousands of documents, and reviewed game and practice video. 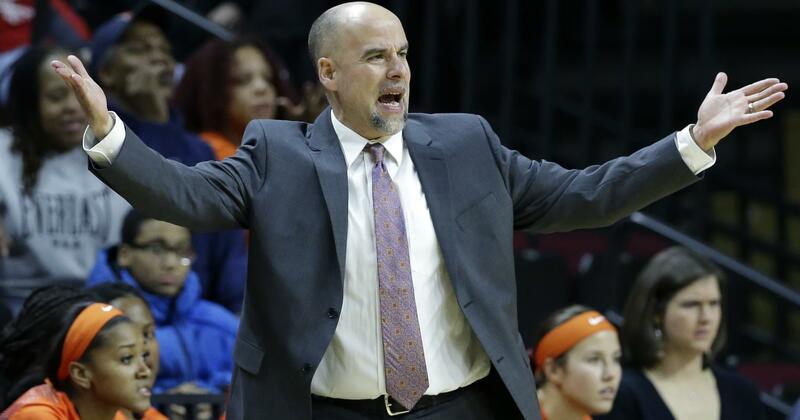 Wise says that while no improper conduct was found, the report does recommend changes to clarify relations between coaches and the parents of student-athletes, and improving the resources for those athletes to report concerns or complaints. 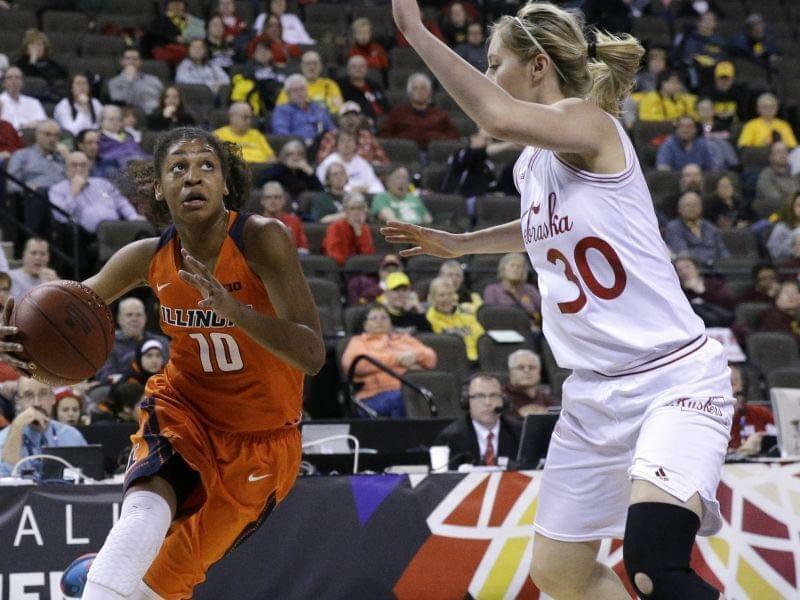 Seven former women’s basketball players filed suit in July against the University of Illinois. 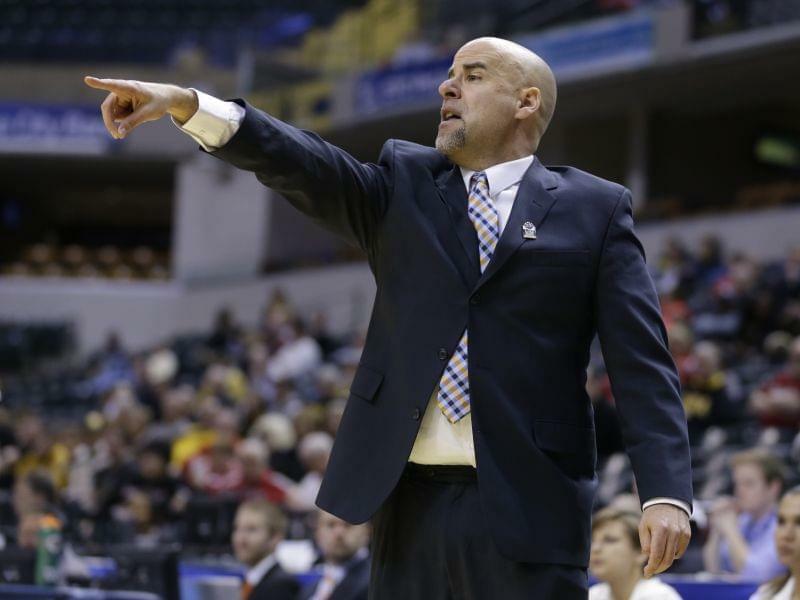 They accuse head coach Matt Bollant and former assistant coach Mike Divilbiss of racial discrimination and mistreating a player’s injury. Athletic Director Mike Thomas is also named in the lawsuit. Divilbiss left the university in May, with an Urbana campus spokesperson saying they “had agreed to part ways”. The university recently announced it had hired Jody Martinez (formerly of Southeastern University and Bethel College) to take his place. Meanwhile, Chicago attorney Terry Ekl, who represents the former players, told the Chicago Tribune that he's still reviewing the findings. "My initial reaction is that I am not surprised that investigators, selected by the university and paid by the university would issue a report favorable to their client," he told the newspaper. "This is precisely why we did not wait until the conclusion of the university funded investigation to be completed before we filed suit."